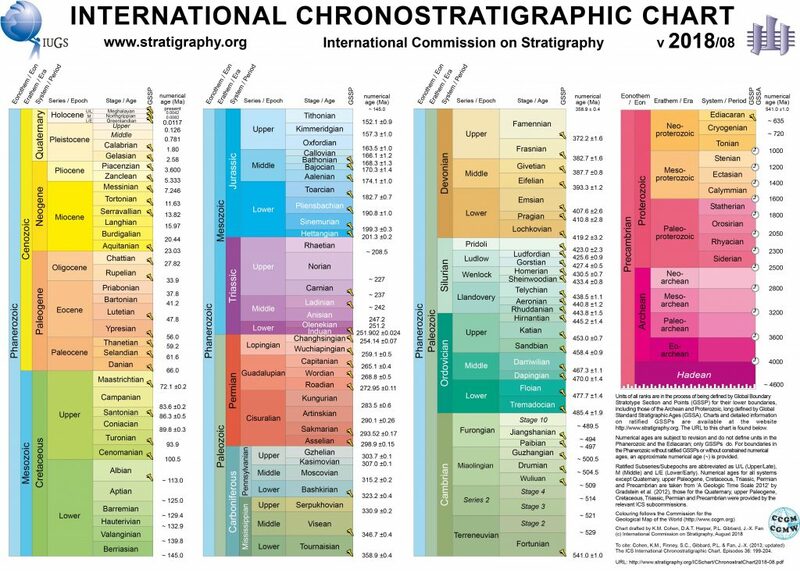 The geologic time scale (GTS) is a system built by chronological dating that relates stratigraphy to time. It is not a timescale as f.ex. the calendar we use today. Instead it divides the history of the Earth into different periods, which are different in length and are based on significant events in the history of the Earth, that create some kind of boundaries in the rock. The timescale is divided into Eons, Eras, Periods and Epochs.